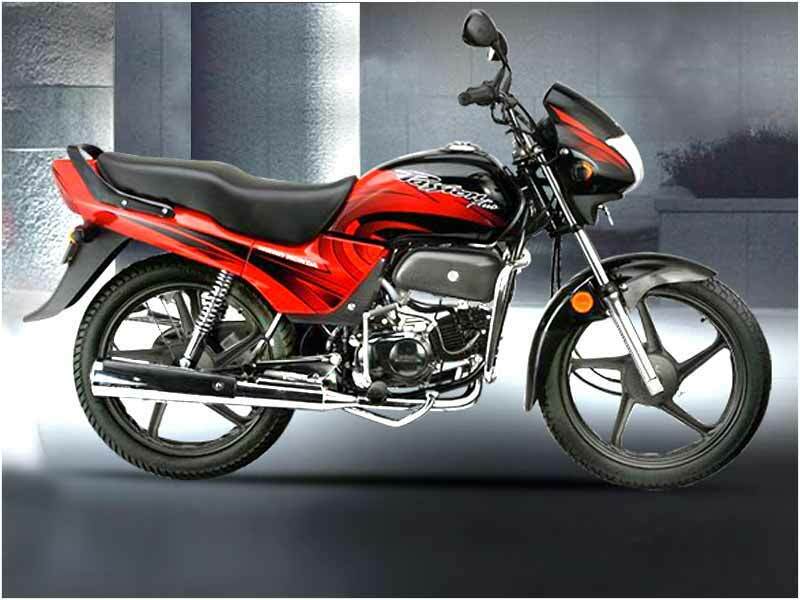 Hero Honda Passion Plus is a twist and turn version of Passion making it a reliable bike for normal domestic use and medium long run. Check out the review for features, technical specifications & price. Passion Plus is a make from Hero Honda which keeps a beautiful look with its basic design as the sticker design keeps changing to live up to the changing trend. Hero Honda engineers have worked well on the design to lend a sizzling look from every angle. Passion comes in six variants of multicolor designs from which anyone can select as the most preferred one. Hero Honda rightly claims passion plus as the 'Whole new world of style'. Passion possesses the standard engine as the other siblings from Hero Honda and there is hardly any change in the performance of the engine. It is a new wine in the old bottle. The striking figures of the bike are all black engine, alloy wheels and body colored hand grips. The black engine treatment is in sync with the overall look of the bike. Passion comes to the standard of those who are passionate for a cool looking bike with great mileage. And no doubt, it has served them substantially with great confidence. 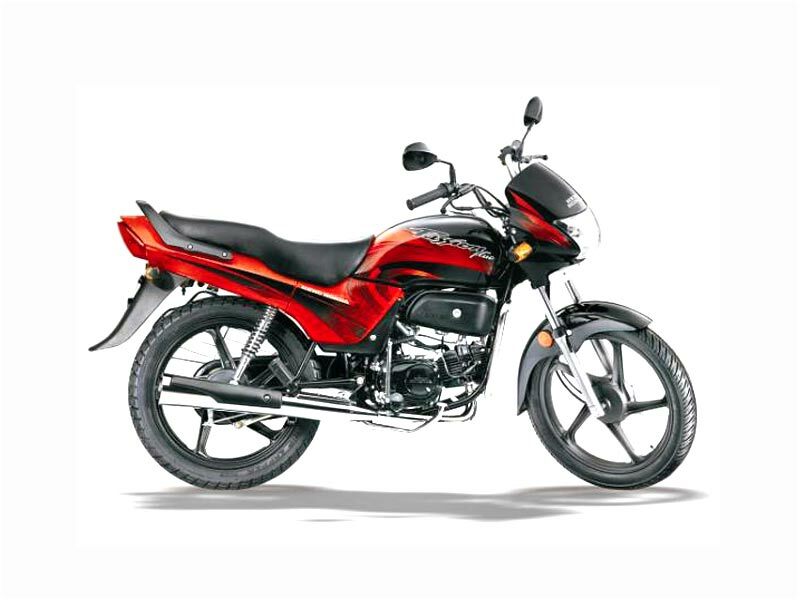 Still Hero Honda Passion Plus holds good in the market owing to its reliability and fuel efficiency. The Hero Honda Passion Plus is an improved version of the Passion. The Passion Plus is prepared with a four-stroke, air-cooled, single cylinder engine that produces a piston dislocation of 97.2cc with the maximum power of 7.5 PS @ 8000 rpm. It maintains a commendable speed of 85kph with the fair fuel economy. The tubular double cradle frame along with its 9 new two-tone body colors and two tone front fender highlight its style statement to bike lovers. To count a few more styling features, this bike is equipped with body color rear view mirror, aluminum die cast rear grip, heat protector on the muffler, new dials in the instrument panel, new multi-reflector headlight and winkers. Its luggage space with locking facility, lockable seat and helmet holder are the important features for rider's convenience. Comfort of the journey is well defined by the arrangement of adjustable rear cushion, wide and spacious seat and broad rear tyre. Passion Plus is a reliable bike for normal domestic use and also middle level long run. It gives a good mileage, which is a prime concern for the Indian bikers in view of the existing road conditions. In terms of maintenance, if ridden with care, a timely change of oil is enough. It is almost maintenance free. It also has a provision for start when in gears. The Passion Plus comes with the good braking system and the suspension functionality is supported by telescopic hydraulic forks at the front and swing arm with adjustable hydraulic dampers at the rear. 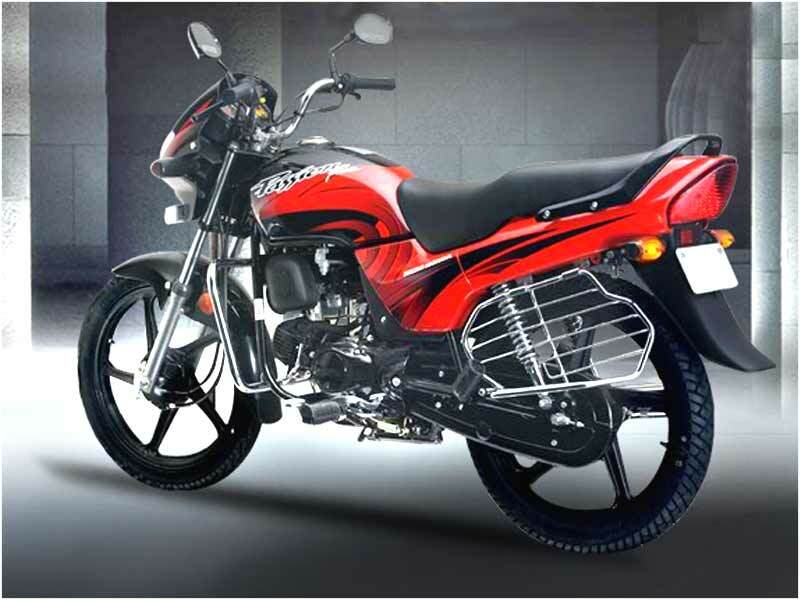 Its wider wheel base ensures foolproof safety to the rider. Safety is further taken care by the arrangement of several lighting fittings like position lamp, side reflector, headlight with halogen lamp, multi reflector winker and others. Hero Honda Passion Plus is available in an array of 6 different colors such as Black & Sports Red, Force Silver, Black & Frost Blue, Vibrant Blue, Sports Red and Palace Maroon.